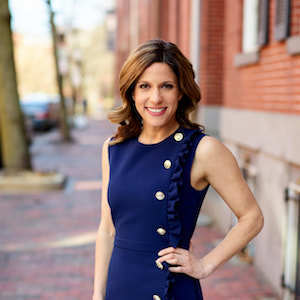 Jillian Adler is an accomplished Boston real estate agent, known for her work ethic, commitment to her clients, and well proven track record. Jillian has been a Massachusetts Real Estate Agent since 2009, and brings to Compass extensive experience in Boston’s real estate and development markets, and over $175M in sales volume since 2012, as part of the Kopman Adler team. Having worked and been a resident of Boston for over 5 years, she brings a wealth of knowledge of not only the current market trends, but of each neighborhood's distinct community and flare. Prior to working in the real estate industry, Jillian worked for a premier public relations firm in New York City, representing developers on their latest projects in up-and-coming neighborhoods and marketing their projects to multiple press outlets such as Brokers Weekly, the Real Deal, and the New York Post. Jillian received her B.A. from the University of Massachusetts of Amherst with a dual degree in Psychology and Communications. A native of Greenwich, Connecticut, Jillian enjoys running, spending time in her community of the South End and traveling. Jillian is running the Boston Marathon in 2019 to support of the YMCA.